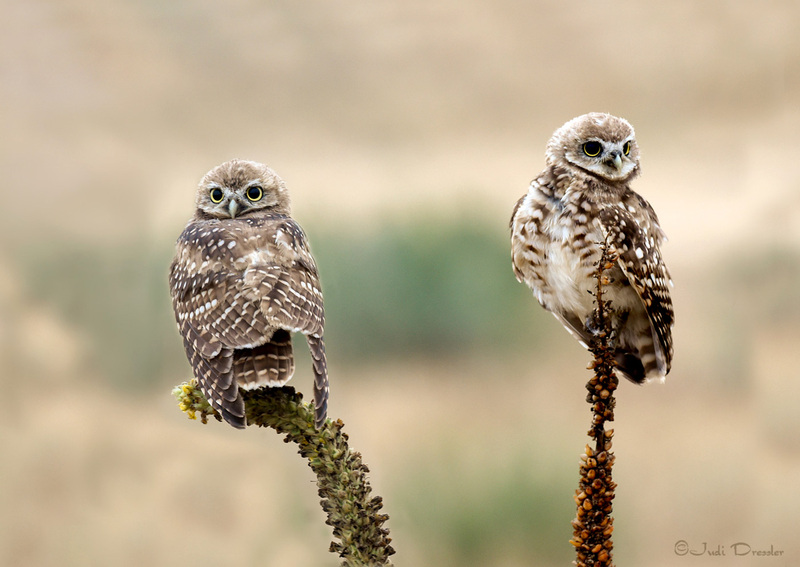 These two Burrowing Owls were photographed early in the morning in a field with lots of prairie dogs. Their pupils are really big because it was clouded over and pretty dark. These two are young ones but are already hunting for themselves. Their antics are just so fun to watch!